Free Shipping Included! 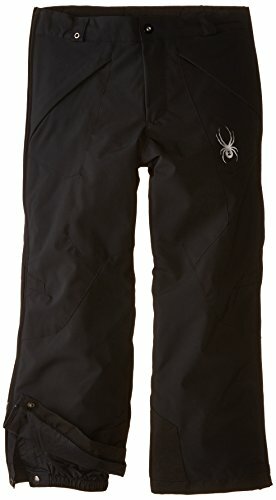 Spyder Boys Force Plus Pant, 12, Black by Spyder at Mebac 2018. MPN: 155032. Hurry! Limited time offer. Offer valid only while supplies last. The Force is our most popular boy's pant, thanks to its performance waterproof and breathable fabric, full side leg zippers, and Spyder graphics. The Force is our most popular boy's pant, thanks to its performance waterproof and breathable fabric, full side leg zippers, and Spyder graphics. This plus version allows four extra inches of wiggle room in the waist and hip.